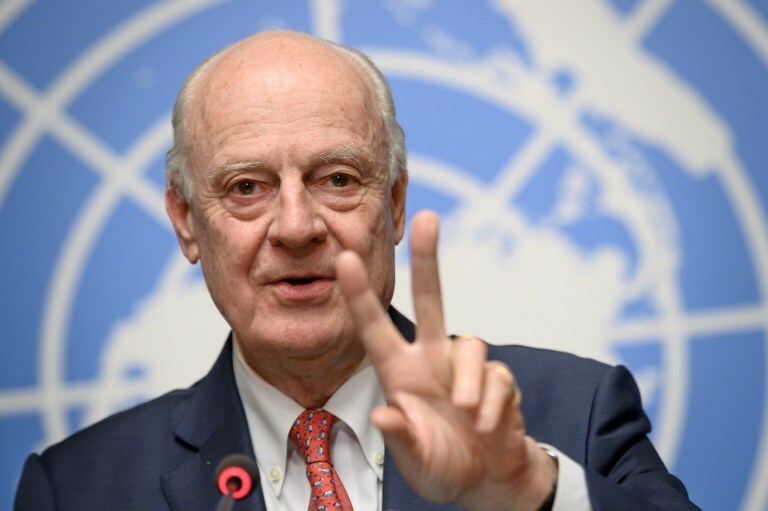 But there was a significant turning point this week when UN envoy Staffan de Mistura made major progress in the creation of a council charged with writing a new constitution for Syria. The foreign ministers of Turkey, Russia and Iran attended the meeting, as did representatives from the Syrian regime and the opposition. Although past experience has shown the difficulty of pleasing all parties to the conflict, these recent efforts are a milestone and a big reason for hope, particularly when considering how many Syrians have been killed and displaced. Moreover, it is a very important sign that everyone wants a political solution. In 2019, it seems we will see further close cooperation between Ankara, Tehran and Moscow, the guarantors of the Astana peace process. The US military withdrawal from Syria is a big win for Turkey, Russia, Iran, the Syrian regime and Daesh. Among all the efforts to end the conflict in Syria, the Astana process has been the most concrete. Credit should be given to Ankara, Tehran and Moscow in this regard. Though not much hope was placed on it when it was initiated in January 2017 due to the shaky UN-led Geneva process, the Astana process has succeeded in reducing violence, paving the way for political talks. Closer cooperation between Turkey, Iran and Russia has weakened the US, which this week announced its military withdrawal from Syria. This is a big win for Turkey, Russia, Iran, the Syrian regime and Daesh, which has not yet been defeated completely and still controls areas in Syria. The US decision comes as Ankara is preparing to send troops into Syria to take on Kurdish terrorists that it considers a threat to Turkey’s national security. For the past four years, Ankara and Washington were at odds due to the latter’s support for the Syrian-Kurdish People’s Protection Units (YPG) in the fight against Daesh. Though US-Turkish relations might improve after Washington’s decision to withdraw, its alliance with the Kurds led to lost Turkish trust. “The US presence in Syria went beyond its purpose and became another theater for proxy games in the region,” said Turkish presidential spokesman Ibrahim Kalin. One could not agree more. We are entering 2019 with the emergence of a new order in Syria that will shape the entire region.